1. Hi Keith, can you please introduce yourself to the BJJ Community of Eastern Europe? Hi to all the followers of BJJ Eastern Europe, a really good site for all the Jiu-Jitsu enthusiasts. I’m Keith Darmanin, 34 years, from Malta – a small island in the middle of the Mediterranean, Brown Belt under Master Rogerio Olegario. I’m married with 2 little sons (5yrs and 1yr old) and have an office day job to sustain my family. 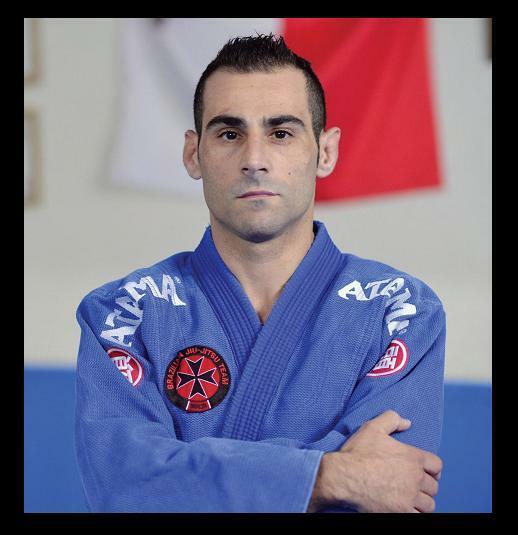 I train/teach at BJJ Team Malta, the club that I founded 5 years ago to promote BJJ/grappling in Malta. Although I don’t compete that much due to travel expenses and although I started to compete in BJJ at an ‘old’ age, I still managed to achieve some important results in my categories, mainly winning Gold at the Milano Challenge (2010) at Blue, Silver at the European Championships and Gold at the British Open (2012) at Purple and Bronze at this year’s Europeans at Brown Belt. I started to practice martial arts over 20 years ago, when I was 14yrs old. I went to a nearby dojo and it happened to be a Japanese Ju-Jitsu club. I had no idea what the difference between Ju-Jitsu, Karate, Kung Fu, etc. was, but I remember I was immediately hooked up with the beauty of Ju-Jitsu techniques from the first day of training. As I grew older, I wanted something more demanding, more physical, thus I started to cross-train in Judo as well, although still Ju-Jitsu remained my number one martial art. In the meantime I had my cousins training at another Ju-Jitsu club which was a bit far away from where I lived and as soon as I turned 18 and got my driving license I switched clubs. The instructor over here was a black belt in both Japanese Ju-Jitsu and Judo, so his training was a mix of both classical techniques and ‘randori’ (free practise). I remember it wasn’t the first time that we used to train ‘randori’ from standing and then spend the entire round on the ground. In the year 2000 I was awarded my black belt in Japanese Ju-Jitsu and my 2nd Dan in 2005, although my interest in BJJ started way back in 1997. Like nearly all the martial artists that switched to BJJ in that era, I saw the first editions of UFC on VHS! Royce Gracie was the man! So, I started to research about Gracie Jiu-Jitsu, later on BJJ. At that time the only available resources were either articles on martial arts magazines or buying books and instructional video cassettes over the internet. BJJ website were few, BJJ in Europe was still taking it’s first steps and yes, at that time Youtube wasn’t flooded with BJJ videos! (probably it didn’t even exist!) 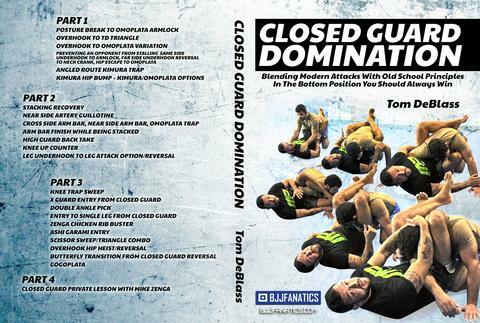 So information on BJJ wasn’t easily accessible as it is today. Then in 2006 a BJJ Purple Belt under Professor Pedro Sauer came to Malta to philosophy and he spent over a year training with us at our Ju-Jitsu club. I remember we used to train a lot together, even doing extra sessions on our off days/Sundays. He showed me various sweeps and passes since before we used to focus only on submissions. Suddenly my ambition was to achieve at least a Blue Belt in BJJ. Later in 2009 I travelled to Italy to compete and it was there that I met Master Rogerio Olegario, Black Belt under Professor Osvaldo Alves. 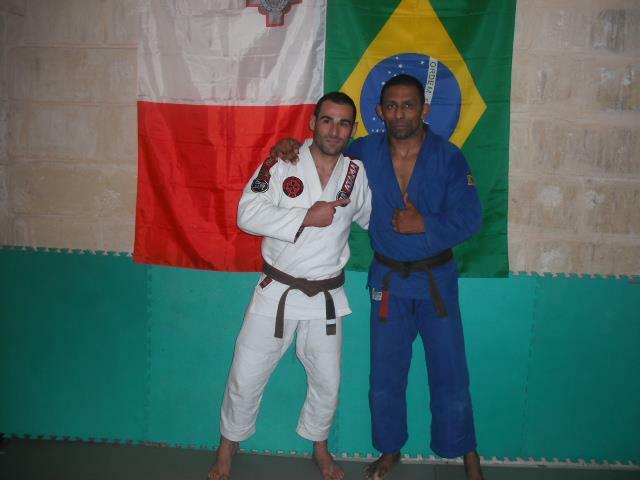 In 2010, Rogerio awarded me the Blue Belt when I was training at his club in Italy, thus becoming the first ever Maltese to hold a rank in Brazilian Jiu-Jitsu and nowadays I regularly bring him over to Malta for seminars. 3. Please tell us about your academy in Malta and the BJJ scene there. As already mentioned, there was no BJJ club here in Malta before I decided to open the first BJJ club over here. Although I always aspired of having my own club, I planned this to happen later on in life. So I just opened my own club in 2008 so that I could be able to train more in BJJ and grappling rather than in classical Ju-Jitsu. It was a small private garage in parents house turned into a ‘dojo’. My intention was to have some people with whom I can train BJJ. I had some people showing up from my previous Japanese Ju-Jitsu club but the beginning wasn’t easy at all. I remember I had to mix grappling with striking to keep the people motivated, since MMA was much more appealing to beginners who don’t know what BJJ is. Slowly, slowly I was getting more people joining the club and the interest in BJJ grew. By 2010, I managed to build a small team of BJJ enthusiasts and, as soon as I got officially promoted to Blue Belt, training was completely aimed towards BJJ. Nowadays, my club BJJ Team Malta has grown into the leading grappling club on the island and is synonymous with BJJ here in Malta. Currently we have 1 Purple Belt, a couple of Blue Belts, some good young kids and regular White Belts. I’m lucky enough to have some really good students who dedicate their free time to train BJJ. 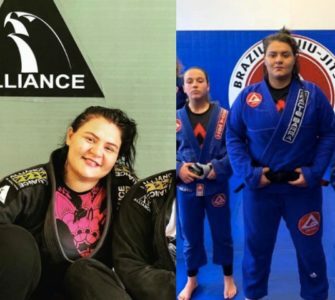 They also spend their money to compete abroad and they have managed to win some medals in some prestigious competitions, like the ones organised by the IBJJF. 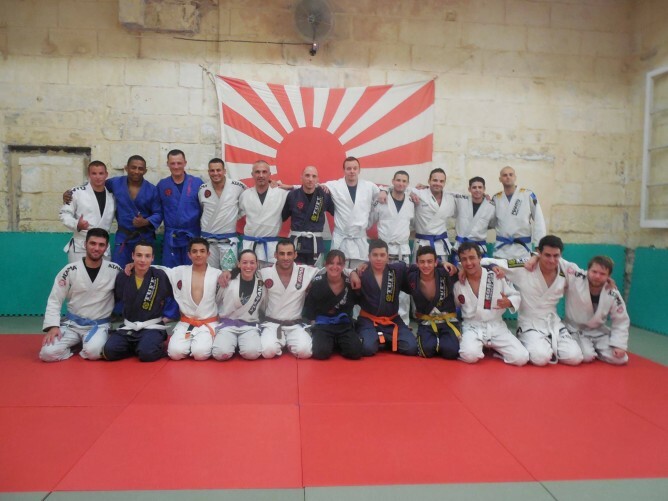 Considering we are a small BJJ club, the only BJJ club in Malta, I believe we have a very good technical level and we managed to build a good team. 4. 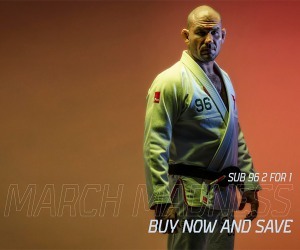 How do you see the growth of BJJ in Malta? Like all other sports in a small country/island the growth can’t be that big. BJJ over here is still in its early first steps, so I believe growth has to be slowly but firmly. You can’t sprint before you walk and you can’t walk before you crawl. 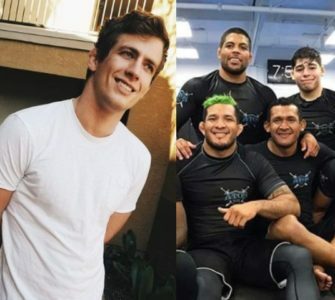 Locally, there are some other MMA clubs so interest in BJJ will continue to expand, although this can have a ripple effect since the tendency is to aim for No-Gi instead of building a solid Gi game. So, I strongly believe that taking one step at a time is crucial for the growth of BJJ. I never aspired to become a BJJ Black Belt but my aim was to achieve the Blue Belt. Likewise on a club level I can’t pretend to have the best BJJ team in the world, but despite our limitations I must keep working to create some more good blues, purples and eventually award the brown belt to my highest student, which by the way she’s a very talented/dedicated female! 5. Last weekend, your team was quite successful at the IBJJF Rome Open and European No Gi Please guide us through your team’s performance. Exactly, last week 5 of us traveled to beautiful Rome to compete in these competitions and I’m proud to say that we had a very good performance and came back home with 6 medals – 1 Gold and 5 Bronze. 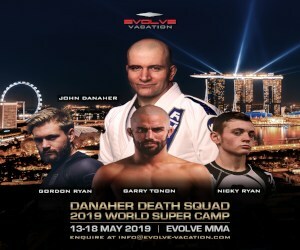 Gordon Carter and Neville Thomas managed to win Gold and Bronze in the Rome Open at White and Blue Belt respectively, Michelle Zarb managed to win 2 Bronze medals at both Gi and European No-Gi competitions at Purple, having to face twice the tough challenge of the current female European/World Champion. I managed to win 2 Bronze medals in the European No-Gi, one at weight and the other one in the absolute category. What’s more important than the result itself is that, even in our losses, we managed to show good Jiu-Jitsu and also identify those areas were we have to work on for the future. 6. What is next for you and your team? Although I would like to compete as soon as possible I know that this isn’t possible since I usually afford to do maximum of 2 competitions per year. So now, next year my name will be with the Senior 1 category…..man, I’m growing old! I wish I had the opportunity to do this at least 10 years ago! So probably, and unfortunately, my next competition will be next year (unless someone is generous enough to sponsor me)! Moreover finding a balance between teaching white belts, coaching advanced students for upcoming competitions and training myself isn’t always an easy task to handle, especially for someone like me with a full-time job and a young family. On a club level, this month we have a seminar with BJJ Black Belt Andrei Monteiro, a really cool guy whom we met in Rome and we are really looking forward to this seminar since we don’t often get black belts apart from our main Professor Olegario. Also, I already have some students who told me that they are going to the IBJJF London Open next October, so my focus is going to be on them to help them prepare to their maximum. 7. 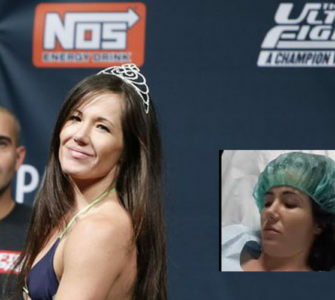 If you want to thank somebody or sponsors, feel free. I just want to thank God for choosing me to be part of this beautiful story, yes it has lots of ups and downs, but overall it’s a positive experience. I also want to thank my family for the support, my instructor Rogerio Olegario for his trust and my loyal students, especially those who have been with me for these past years. 8. Thanks Keith and all the best! Thank You for the opportunity BJJ Eastern Europe! Keep up the good work!! !